TheRealMalta.com offers various advertising options on the site, from banner ads to contextual in-post ads and sponsored articles. Note that none of our content is (or will ever be) biased in any way, shape or form. All ads must follow strict editorial guidelines, and are clearly indicated as sponsored content. 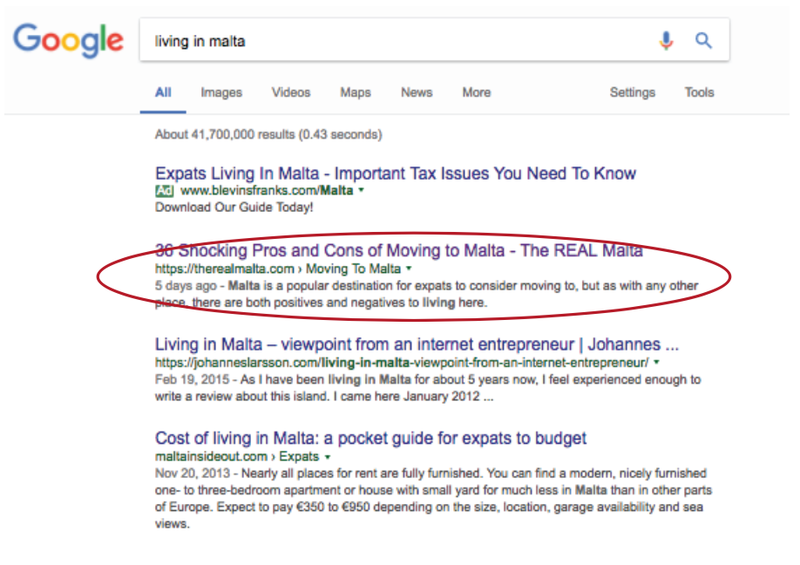 If you wish to explore options to bring your brand in front of tens of thousands of expats living in Malta or planning to move, get in touch with us at editor@therealmalta.com and let’s discuss. You can also download our Media Kit (includes pricing information) by clicking here. TheRealMalta.com has established itself as the go-to website for expat related information in Malta. 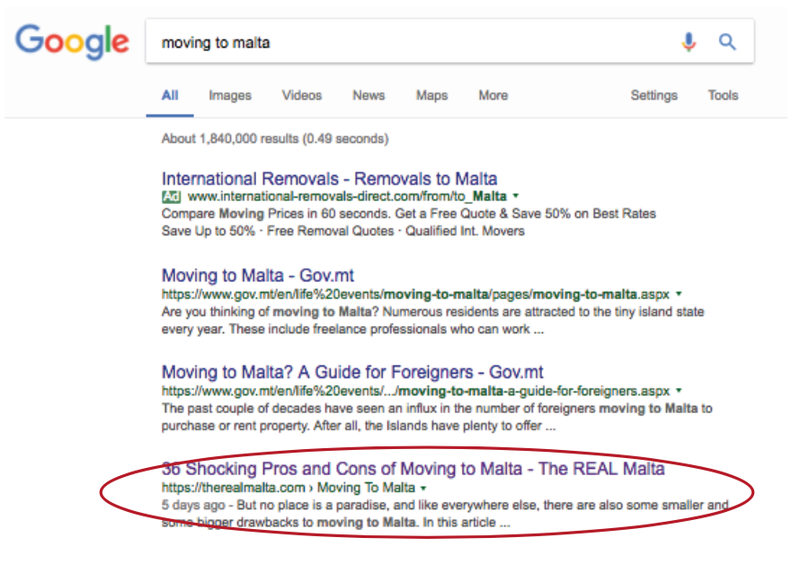 Currently, we are ranking on top spots for many desirable keywords on Google, such as “moving to malta”, “move to malta”, ‘living in malta” and others. Our Facebook page is constantly growing, with the current monthly growth rate being over 10%. The vast majority of our followers are aged between 25 and 45 and based in Malta, or have a strong interest in relocating to Malta. Although Facebook is currently our main focus on Social Media, we aim to grow our reach also on other social channels, such as Instagram, Pinterest and Twitter. We offer a wide variety of different ad options throughout our site and social media channels. Only one thing is universal – we choose carefully whom we work with. TheRealMalta has become a trusted source for unbiased information, and we intend to keep it this way, by only working with vendors whose services we’ve tried ourselves and would recommend to our friends. Please download our media kit or get in touch with us at editor@therealmalta.com to find out more about our ad options, pricing and availability.